There has been a lot of football watching going on in my house and although we have enjoyed some fun appetizers, I haven't actually made any football shaped food. I think I will save that for the Superbowl. 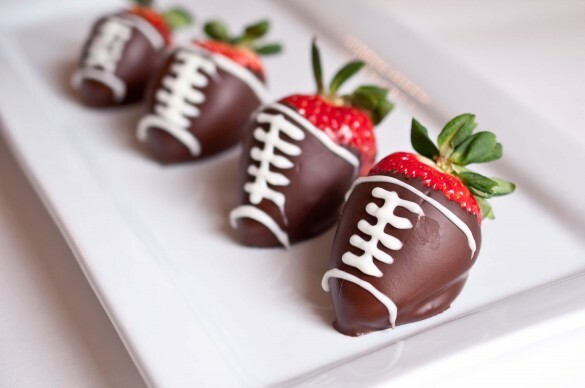 But come February I might have to make some chocolate covered strawberry footballs like these from Domestic Fits. 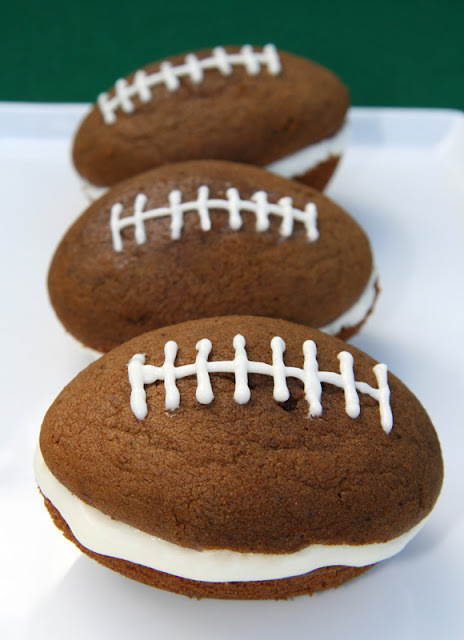 These cute football whoopie pies from Make Merry are the perfect dessert for the Superbowl because they can be eaten on the couch. If you are the type to have a cheese ball at your parties, than it only makes sense that you should have a cheese football. This one is actually made with cream cheese and chocolate chips. You serve it with graham crackers. But you could use a more traditional cheeseball recipe. 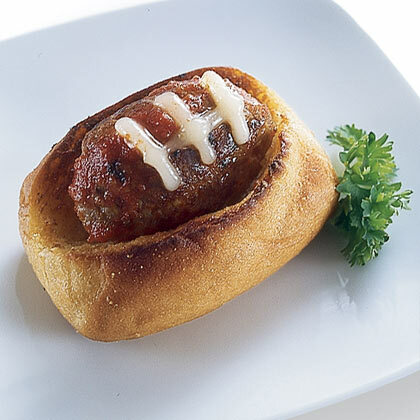 And Family Fun has a great way to turn a mini meatball sub into a mini football sub. 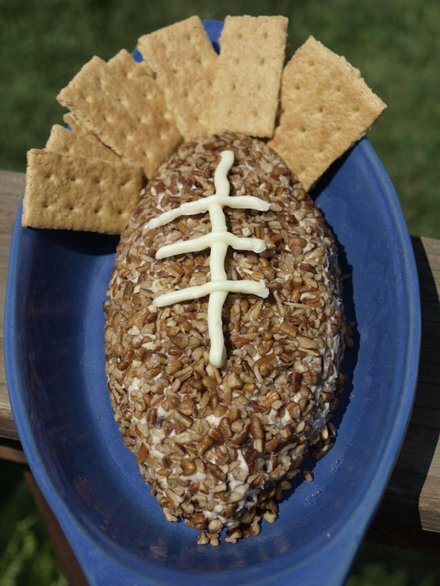 Do you have a traditional football themed snack you serve for your Superbowl party?